All aspirants for the civil services preliminary exam on Sunday have been asked to download the e-admit card "well in advance" to avoid last minute rush, the UPSC has said. 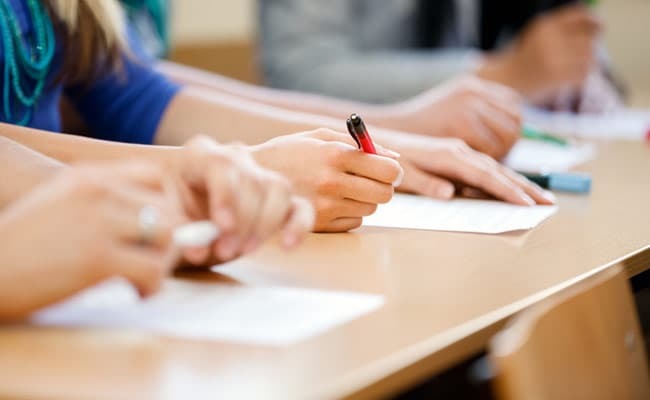 New Delhi: All aspirants for the civil services preliminary exam on Sunday have been asked to download the e-admit card "well in advance" to avoid last minute rush, the UPSC has said. The Union Public Service Commission has stopped issuing paper admit cards for the past few years and candidates are required to download it from its website. "To avoid the last minute rush, candidates are advised to download their 'e-admit card' and 'Important Instructions to the Candidates' well in advance," the UPSC said in its latest advisory. They have been asked to check the e-admit card carefully and bring discrepancies, if any, to UPSC's notice immediately. Candidates should note that any omission, mistake, discrepancy in encoding or filling in details in the OMR answer sheet, especially with regard to roll number and test booklet series code, will render the answer sheet liable for rejection, it said. In a set of do's and don'ts, UPSC has asked candidates not to bring any costly items inside the examination venue. "Electronic gadgets like cellular/mobile phones, any other devices for communication, laptop, blue tooth device, and calculator are banned inside the examination hall. "Any infringement of these instructions shall entail disciplinary action against the candidates concerned including debarment from future examinations/selection," UPSC has said. The civil services examination is conducted annually by the Commission in three stages -- preliminary, main and interview -- to select officers for Indian Administrative Service (IAS), Indian Foreign Service (IFS) and Indian Police Service (IPS) among others. A large number of students appear in this prestigious test from across the country. About 4.59 lakh had taken last year's civil services prelims. Of these, 1,099 have been declared successful in the test, result of which was declared on May 31. The e-admit card can be downloaded from the website www.upsconline.nic.in.